Dr Schiffman was on time with my appointment which is unusual these days and was able to take care of aproblem I was experiencing in only a matter of minutes with care and professionalism. This was my first visit to this office but from today’s service would definitely recommend. Dr Schiffman was on time with my appointment which is unusual these days and was able to take care of a problem I was experiencing in only a matter of minuteswith care and professionalism. This was my first visit to this office but from today’s service would definitely recommend. Personable, friendly, knowledgeable. Will definitely go back to this doctor for my dermatological needs. **Please provided insurance information prior to appointment. 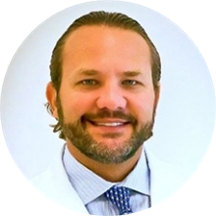 Dr. Lawrence A. Schiffman is a Board Certified general, surgical and cosmetic dermatologist practicing in Miami, Florida. Dr. Schiffman graduated with honors in microbiology from the University of Miami, Florida in May 1996. As a New Jersey native, he received his medical degree from the University of Medicine and Dentistry of New Jersey's School of Osteopathic Medicine (UMDNJ-SOM) in May 2000. In June 2001, Dr. Schiffman completed his internship at the Kennedy Health System and Our Lady of Lourdes Medical Center in Camden, New Jersey. He later completed his dermatology residency at St John's Episcopal Hospital in Far Rockaway, New York. During his academic studies, Dr. Schiffman volunteered his time as the national director of AIDS awareness. Through this experience, he became recognized nationally, as a public speaker and educator. He has also published numerous articles in various medical journals (JAOCD, EMED). Prior to his residency, Dr. Schiffman completed a 4-year combined Dermatology/Tele-dermatology fellowship at Derm Dx Centers for Dermatology in northeast Pennsylvania. It was there, that he utilized tele-dermatology to provide services to the inmate population of the U.S. Federal prison system. Currently, Dr. Schiffman is at the forefront of international tele-dermatology initiatives, providing services globally. Dr. Schiffman maintains active membership in numerous state and national medical associations including both the American Osteopathic Association and the American Medical Association. Finally, Dr Schiffman is registered by the State of Florida to provide medical marijuana recommendations to eligible patients. Very professional and friendly, staff was very helpful and no wait!!! Highly recommended!!!! Doctor was kind, took time to listen to my concerns, gave options for treatments. Friendly staff, did not wait much, about 10 minutes to see the doctor. It went everything well, resolved my son's skin issue in 1 visit. One morepositive aspect, not a long wait to get an appointment. My 1st visit was very good, addressed all my concerns, I was in and out, with the procedure, in about 40 minutes. Very HAPPY !!! Highly recommend !!! He was very kind and efficient. Definitely my new dermatologist! Excellent service from the dr and his entire staff! Doctor was very friendly and knowledgeable. Made me feel comfortable. I don't write reviews, but had a great experience at Dr. Schiffman's office. There was no wait, the staff was nice, and the Dr. was very knowledgeable and friendly. Already recommended to a few friends. I highly recommend Dr. Schiffman!! You never have to wait more than 5-10 minutes to be called in, and his staff is very professional and attentive. He is very detailed and knowledgeable. There was a bit of wait time, and barely any seating. The reception Staff were okay. The doctor was ok to, he was straight to the point and talked really fast, his office was busy so that’s must be why. WhenI left the exam room waiting to be checked out, the nurse went into a room to change the bedding paper and yelled out loud gross what did I touch, and was behaving hysterical. And another nurse went in and told her I should’ve warned you, and was whispering and giggling. I have no idea what she really touched but but their mannerisms and behavior were strictly unpleasant and unprofessional for a doctors office, even if she handled something unpleasant she could’ve reacted more appropriate because she works at the doctors office not a mall, you would encounter humans and whatever comes from humans. I felt really embarrassed and horrible witnessing their behavior. You would feel like you did something wrong seeing this and wouldn’t want to go back there. It was not cool. They are awesome. I have Eczema for 9 years and they were the only one were able to control it. I feel better and my confident came back because of them. i understand this doctor sees many patients daily but i felt he did not take my particular case seriously due to my cancer history both personal and in my family. i had a white spot that appeared on my wrist andthe doctor told me maybe I dropped some lime juice on my skin. It had been weeks that the spot had appeared. I sought a second opinion and it was actually tinea versicolor. Thank god it was nothing serious but i could have treated this months ago. Great service. Office staff was fast and organized. New patient and still in and out in 1 hour. Doctor was thorough and explained everything in detail and professionally. I had my first appointment with Dr. Schiffman today! I can finally say that found a dermatogist that makes me feel comfortable. The staff was nice and professional as well, the office was spotless. I also loved that they don’t pressureyou in buying their products like most dermatologist offices do. Great place.. super clean, and the doctor was amazing the staff is great. Very Professional, I really, really recoment. Seen incredible improvement to my skin. Too long to register at arrival , then it was fine. Amazing staff and doctor. Explains things thoroughly and ensures you have a full understanding! Avoid this doctor. I felt extremely uncomfortable with the doctor. He seemed anxious to diagnose as many conditions as possible. He literally walked to me and started lifting up my shirt before asking me if I wanted to do a bodyscan. It was highly unprofessional and I had just felt so awkward front that point forward. I felt like his bedside manner consisted of what was in his best interests, not mine. I left thinking he must be under great pressure financial pressure and was inventing conditions to treat to increase the bill. Dr Schiffman and his staff were professional and treated me with respect in every single way. Like every office, they had products that they sponsored and not once did they try to sell me any of these products. The office wasnice and clean and the Dr himself knew what he was talking about in regards to my condition (which wasn’t serious). If you’re thinking of what Dermatologist to go to, you won’t go wrong with Dr. Schiffman. I loved it! They saw me right away. He was very nice and so was Erika Schiffman. I would definitely recommend him to my friends and family. Very professional and thorough. Front desk receptionists semed annoyed to be there. The office was clean and pleasant. The staff prompt and courteous. Seen promptly, screening was thorough and P.A. Alexandra was excellent, took the time to answer all my questions. Booking was easy through ZocDoc as a new patient. Recommending this office to family and friends. He's Great! we were very satisfied with the Doctor and his Staff.. Catered to what I want. Was extremely attentive.